in front of your eye over your pupil. 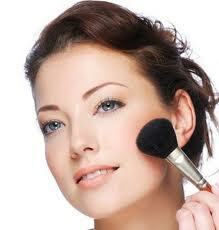 brush to start applying, no further in towards your nose, or it will look unnatural. dreaded Aunt Sally effect! Applying it in a thick stripe and not blending the edges is what makes it look wrong. See below for what NOT to do! 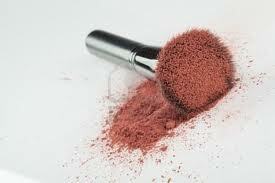 And I DON’T just mean with the blush!!! 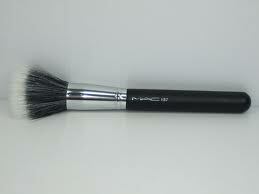 That’s closely followed by the MAC 187, the smaller version of the 188 which is used to apply foundation. 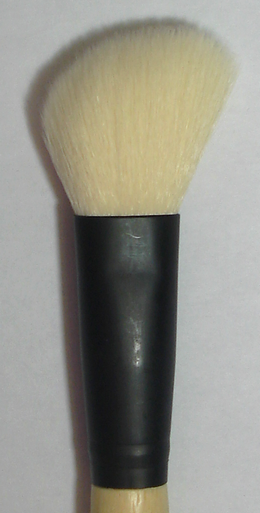 You can use the MAC 187 to apply cream products as well as powder so it’s a great all rounder and again it’s the perfect size for the cheek area. The only problem I’ve found with using an angled brush, is that I always need another fluffier brush to go over and blend out the edges, just to diffuse the colour. sure to give me some feedback either here or on my Facebook page to let me know if this helped you! Do you like what you see here? Subscribe by email!